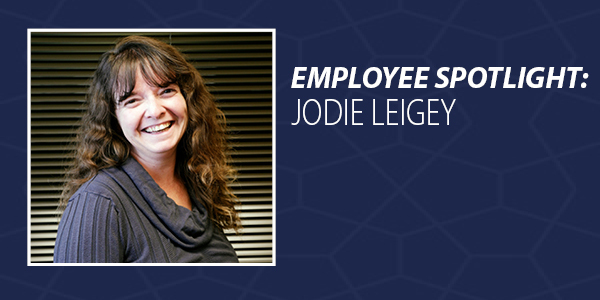 Jodie is our Small Business Insurance Specialist. She is licensed in Property/Casualty as well as Life Accident and Health. Jodie holds the CISR and CPIA designations. We spent some time asking her pesky questions so you can know a little more about someone you work with. Jodie has been in the insurance industry for 27 years. She started working in the industry during her senior year at Cocalico High School. Fun fact about Jodie: she has a 6 year old American Bulldog named Magnum. Favorite song to sing at karaoke? Hit me with your best shot, On the cover of the rolling stone, Shut Up and Drive – solos, of Leather and Lace or Picture – duet. Favorite Recipe? Buffalo Chicken Dip and my grandmother’s potato filling. If I tell you, I’ll have to kill you. If you were stranded on a desert island and were allowed to bring 3 things, what would they be? Fiancé, my dog, and probably some alcohol. What is something no one at the office knows about you? From the time I was 16 until I was 21, I ran with the volunteer ambulance association in my hometown as a tech. I’m also a certified vet tech.